IIT Kharagpur has launched an ambitious programme to encourage beginners of undergraduate engineering courses at the institute to enrol for Genomics Study. 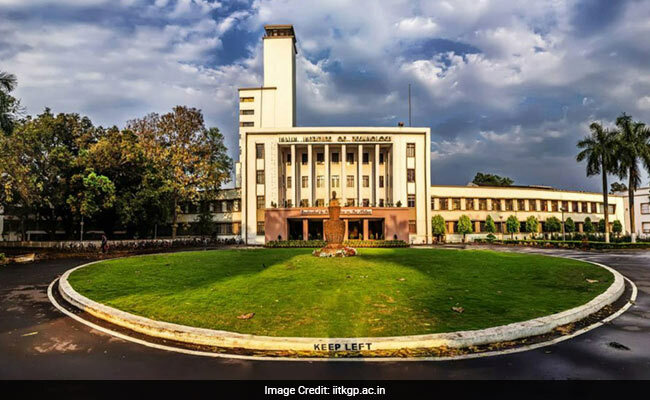 New Delhi: IIT Kharagpur has launched an ambitious programme to encourage beginners of undergraduate engineering courses at the institute to enrol for Genomics Study. "To engage the brightest young engineering minds in biology research, particularly in genomics and genome engineering, IIT Kharagpur is going to start the genomics laboratory facility for engineering students from all the branches of engineering," Prof Sudip K Ghosh of Department ofBiotechnology said today. He will be heading this lab. Though there are few laboratories of similar nature abroad, this will the first of its kind in India, Prof Ghosh said. The primary objective of this laboratory will be to teach all the students at the second year the basic techniques of life sciences that will include microscopy-based observation, molecular biology, protein structure and function and lastly, bioinformatics. "These experiments will teach the students about building blocks of life, construction of protein structure from DNA sequence, mutation and its effect on enzyme structure," he said. "They will be engaged in DNA and protein profiling and will also be able to identify the biological father of a baby by simulation of DNA gel electrophoresis (the movement of charged particles in a fluid or gel under the influence of an electric field) using the whole genome. "Students will be able to visualise protein inside the bacteria and animal cell using fluorescent microscopy and conduct many experiments to get an overall idea from the cell to the genome," he said. Third year onwards, they will be allowed to plan and execute experiments on their own under the mentorship of faculties from Biotechnology, Bioscience, Chemistry, Medical Science and Technology and Computer Science and Engineering. The lab, to function 24x7, will be equipped with all the essential equipment required for cell and molecular biology, biochemistry, sequencing facility and microscopy facility. Genomics is a branch of molecular biology dealing with the structure, function, evolution and mapping of genomes that contain DNA information. Genomics which helps researchers discover why some people get sick from certain infections, includes the scientific study of complex diseases such as heart disease, asthma, diabetes and cancer because these diseases are typically caused more by a combination of genetic and environmental factors, than by individual genes. Varieties of bioinformatics based experiments like understanding evolution and protein structure prediction will be done in the existing computational facilities of the institute.